Activate only when your opponent declares an attack while you control an "Amazoness" monster. All monsters your opponent controls are changed to face-up Attack Position (Flip effects do not activated.. This card cannot be Special Summoned. When this card is successfully Normal Summoned, you can Special Summon 1 Level 4 or lower "Blackwing" monster from your Graveyard in face-up Defense Position. .. If you control a "Blackwing" monster other than "Blackwing - Bora The Spear", you can Special Summon this card from your hand. During battle between this attacking card and a Defense Position monster .. If you control a "Blackwing" monster other than "Blackwing - Gale The Whirlwind", you can Special Summon this card from your hand. Once per turn, you can halve the ATK and DEF of 1 face-up monster you.. When this card destroys an opponent's monster by battle and sends it to the Graveyard, you can Special Summon 1 "Blackwing" monster with 1500 or less ATK from your Deck. That monster's effect(s) is ne.. If your opponent controls a monster and you control no monsters, you can Normal Summon or set this card without Tributing. One per turn, you can select 1 face-up "Blackwing" monster you control. It ga..
1 "Blackwing" Tuner + 1 or more Non-Tuner monsters If this card attacks a Defense Position monster, it gains 500 ATK during the Damage Step only. 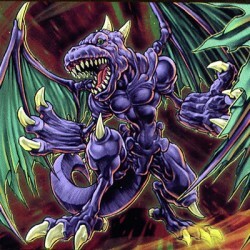 During battle between this attacking card and a Defens..
1 "Blackwing" Tuner + 1 or more non-Tuner monsters. This card cannot be destroyed by battle, and you take no Battle Damage from battles involving this card. If this card attacks a monster, you can pla..
Once per turn, you can activate this effect to remove from play the top card of your Deck and give this card 500 ATK until the End Phase. When this card is destroyed and sent from your side of the fie..
Once per turn, you can activate this card's effect by revealing 1 Fusion Monster from your Extra Deck and sending 1 of the Fusion Material Monsters listed on that card from your Main Deck to the Grave.. Select and activate 1 of these effects: - Change the Battle Position of 1 face-up monster your opponent controls. - Tribute 1 monster. Select 1 face-up monster your opponent controls. Take control of .. When this card is destroyed by battle and sent to the Graveyard, destroy the monster that destroyed it. While this card is attacking, any Battle Damage either player takes from a battle involving this.. When this card inflicts Battle Damage to your opponent, send the top card of their Deck to the Graveyard. When this card is sent from the field to the Graveyard, add 1 Zombie-Type monster with 1200 or..